We are way forward in manufacturing and exporting an assortment of Medium Aviation Light. 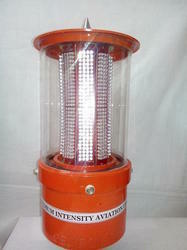 Our experts use updated technology and machinery in the process of manufacturing these intensity aviation lights. Our system is widely used for its competence and cost-effectiveness. With its sound technical features these lights, which are user-friendly and consistent. These lights are operated for the purpose of aviation in huge industrial purposes dealing with medium range of intensity. Medium intensity Aviation light led type. Packaging Details: 5KG APPROX FOR EACH LIGHT AND ITS CONTAIN 4LIGHT PACKING BOX. 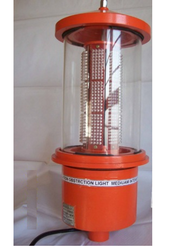 We are the manufacturer of Medium Intensity Obstruction Warning Light. We offer these products at affordable prices thus is in huge demand by our clients. Photocell auto On/Off (Internal fitted) No Extra Cost. We at, Geltronix are engaged in manufacturing and exporting a sound range of Medium Intensity Aviation Lights. We use sophisticated technology and machinery to manage the production process to provide zero-defect products. The products we manufacture are in compliance with international quality standards. We at, Geltronix are indulged in designing and developing a wide range of Medium Intensity Aviation Light RED. Our experts are keen and careful in manufacturing these products to be defect-free and reliable. Looking for Medium Intensity Aviation Lights ?